Throughout the Harry Potter books, there were a lot of character deaths, especially in the end with the Battle of Hogwarts. Quite a few of them hit me really hard, the first of course being Dumbledore. However, I was shocked to find that he was not the character I cried over the most. I was recently rewatching Deathly Hallows Part 2 for #19yearslater, my small celebration of it, and there were two places that I cried and could not stop. The two places are very well-known, when Snape is talking to Dumbledore and Dumbledore asks, "After all this time?" And Snape replies, "Always," and then at the very end when Harry is talking to Albus Severus and tells him, "You are named after two headmasters of Hogwarts. 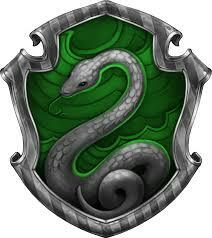 One of them was a Slytherin and he was probably the bravest man I ever knew." I remember reading these parts in the book as well, so many years ago now, and tearing up. I think Snape's death has always been the most difficult for me to deal with, and I had a conversation with a friend a while back on if I could bring back either Dumbledore or Snape, who would I bring back. My answer was immediately Snape. After all that he did, he deserves to live a happy life. So what about you all? Was there a certain character that was killed that you just haven't gotten over yet or that made you cry for quite some time after reading the books? I know we readers can get very attached to characters and when they go, for me, it feels like I've lost almost a part of myself. I liked very much that in the movie she was out flying free and came to defend Harry. In the book it was just wrong that she was in a cage, died in a cage. When I saw that, in the movie, somehow I felt better. From the get-go Fred and George were heroes of mine. That is one reason I decided I play Beater on the Quidditch field. Their humour, their feistiness, their sheer genius, their brilliance! Their giving Umbridge the attention she deserved (and earned). And Fred ... embraced Percy back into the family. I was extremely unhappy that he died. It wasn't expected by me. I think, when I read it, I sat in a stunned shock for a while. Yeah, might have been leaking tears too. The other deaths were not unexpected. Not expected but still not unexpected. But Hedwig? No. Fred? No. Oh my goodness! I agree with the unexpected part about Fred and Hedwig. I think with Hedwig I may have actually screamed. I forgot that she was in a cage in the book. I guess I preferred the movie version as well where she was flying free and defending him and that's what my brain remembered. Fred choked me up. Not going to lie. That was another hard one to take. I also see what you mean about not expected but not unexpected as well. I had a gut feeling that something was going to happen to Snape. Dumbledore, not so much. I knew the possibility was there, but I didn't think J.K. Rowling would actually do it. He was too loved, but I think it needed to be done as well. Tonks and Lupin were another of the not expected but not unexpected deaths, too. Oh and Sirius. But I'm sure that was unexpected for me. I remember going into shock over that one. I came out of shock with Dumbledore match faster than Sirius. That was .... no no no no NO. No! That photo was not needed. Major feels going on right now. Why did you do this to me? Talking about it is one thing, but when you post a photo like that...I can't even right now. But truthfully, it wasn't. Again, I see the plot point behind it now, it opened up a doorway to death for Harry and all of that, he could ask Sirius if it hurt and things. But that was a hard moment to handle. When he did come back with the stone though, that made me happy. Harry got to be with his family again, whether that was by blood or by choice, he got to be with them again. We got to see the power of love in action, how they stayed with him so he wasn't afraid. It's hauntingly beautiful. I think that's what I'm looking for. I haven't reread the books for a while but I'm rewatching the movies right now (and watched the 4th movie for the first time). And the death that saddens me most is Sirius. I think it is the moment when Harry gives up on his happy future whatsoever. Maybe he was a bit naive and didn't know the whole truth when he was little (1-3 books), and in the 3d book he even has a hope for the better - he finds a member of his family and starts to imagine that he can have a happy family life and love of a "parent" too. All this starts to break in the 4th book where there's a first death in the open, but there's still Sirius and hope, and when Sirius dies, all the hope is gone. I just finished watching the 6th movie and I could see that Harry felt that the world was more unsafe than ever before. As for unexpected deaths, I'd say I didn't expect Tonks and Lupin's death and I was rather sad because of it, but well... everything that's going on in the last book is kind of "unconventional" for me and all the deaths from there are a bit unrealistic. Maybe it's because of the feeling that the fairytale is gone and is never coming back and it's time for a war, but in the fairytale everyone's still alive. Dumbledore's death was a very sad thing for me, and maybe I even cried. At the same time, I remember thinking whether he was going to die soon when I was reading the second book or so... it was just always pointed out how old he was and so on. Of course I thought that he was going to die because of his age, but in general it wasn't a surprise for me. Dobby! It will always be Dobby! For me, Dobby has always been an endearing character. So little and yet so brave and unique, faithful until the very end. If he had to die, I'm happy that he died saving his friends. I feel he deserved a honorable death, and I can't think of a better way for it. Still I can't get over the fact we won't see him again, squeaking everytime he sees or Harry Potter or collecting his precious hats! Oh, and this:The elf's eyes found him, and his lips trembled with the effort to form words. "Harry...Potter..." And then with a little shudder the elf became quite still, and his eyes were nothing more than great glassy orbs, sprinkled with light from the stars they could not see. Breaks my heart everytime I read it! I agree with all of the said names; but for me it was also Colin Creevey's death very sad event. He was annoying sometimes, but do you imagine how many bad things happened him because he was muggle born wizard. When Snape came as headmaster he was not educating anymore and he wad running away from the Ministry. It was so touching when Harry found Colin's body. Professor Minerva ordered younger studens than seventh year to leave Hogwarts at the battle; as act of brave Colin secretly stayed and...died. Sirius' death was the one that hit me the hardest reading the books. I think because he was the first character I cared about (sorry Cedric) to die. I don't think I cried, hardhearted little nine year old that I was, but it definitely got to me. Many hours were spent re-imagining a different outcome of that scene. I did feel like I could relate to Harry in Dumbledore's office afterwards, I was so angry. Hedwig was the other one that got me, it was so unexpected. It shocked me far more than Dobby, which was odd. It was just that she had been Harry's constant companion throughout the books. She was the one who was always there throughout the summers. She was this constant presence even if she was only mentioned every few chapters bringing him a letter. Hedwig's death, more than anything, symbolised the end of Harry's childhood to me. The end of his Hogwarts era. It symbolised the beginning of the real war. Rereading the books, Remus, Tonks, Fred and Colin always stick out as particularly tragic, but when I read it for the first time, I think I was kind of prepared for the battle of Hogwarts to spell the end for a lot of my favourites. I was just grateful that Luna survived! Hmmm, what was the hardest death for me? I'm thinking Remus and Tonks are up there. I always really connected to Remus and I love that he had found someone and Tonks was so cool. It felt like it was all coming together and..then it was over. I think that was the saddest death. Hardest one was actually Dobby. I wasn't expecting it at all and he was always such a bright spot throughout the books. If ever there was a death that felt like the end of childhood innocence, I think it was actually that one. Hanna, you bring up such a good point about Sirius and Harry. Even though Sirius is his godfather, he really is family to him. I think what Harry doesn't realize at the time is that he really has a lot of family, the Weasley's, his friends, Professor Mcgonagall, Hagrid. 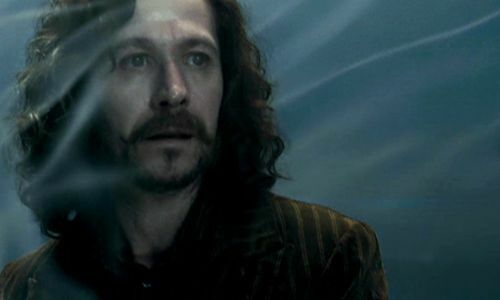 There are so many others, but I think to him, Sirius was the connection to his parents and that changed how he was family to Harry compared to the other "family" Harry had. Gus, Oh Dobby! That is a very hard one as well. Yes, that quote so much! I almost teared up just reading it again. Dobby really did die in the best way possible, protecting his friends as a free elf. I think that is something very special. Robin, I forgot about Colin. I feel so terrible now! You are right, he was so brave to stay behind and continue to fight, especially because it was even more dangerous for him during this time period as a muggle. He was devoted to Harry, and I believe he will certainly be remembered just as highly as the others who were killed during the battle of Hogwarts. Rowan, I agree! I am so glad Luna survived! I think I would have lost it even worse if something had happened to her. She is definitely my all time favorite character because she reminds me so much of myself. I fell in love with Hermione early on because of her brains, but when Luna was introduced, she was socially awkward just like I was/am and she had her own little quirks, just like I do. It made me feel not so alone anymore. For her to have died, I can't imagine it. Nina, when it comes to Remus and Tonks, I always think about their son growing up without his parents and only hearing tales of how brave they were and all they did for him to make sure he had a safe world to live in. While their deaths were difficult, I think the way they died, together and fighting for their child's future, was a beautiful way to go. Personally, I didn't understand the big deal over the whole "After all this time?" "Always." scene...that didn't really affect me at all. I guess the person I cried over the most was Fred Weasley. He didn't deserve to die. Oh all the death of the characters is sad, but Dobby's death is really make me cry longer than others. While Sirius and Fred's death make me shock and the tears just can't come out because i'm not expecting the death, Dobby's death is somewhat i know will come, but then when it really come, it hit as much as i think, no... maybe a lot more. For me the worst ones were Dumbledore, Dobby, Fred and Snape. I think all their deaths were written so wonderfully (even though it wasn't wonderful) and it just made it that much harder. Fred was still laughing as he died, Dobby had just declared himself a free elf, and Snape got me right at the end when I wasn't even expecting it to hurt so bad, mainly because of the memory he gave Harry.